"Challenging, inspiring, theological, fun, funny, joy filled, spirit filled." Marriage, a fruitful and sacramental intimacy; Catholic parenting and the true meaning of sexuality in God’s plan, and how the community of the family is truly the primary pastoral unit of the Church. Many are understandably concerned about the kids in the family, whether they are still in the nest or are now adults. What can be done to keep them Catholic? Or to leading them back if they’ve already strayed. This talk discusses what everyone can do, parents, grandparents, uncles, aunts, and godparents, to build a foundation in young children that will withstand a culture hostile to faith, and to win back those who have already strayed. Marriage is not just a good natural institution blessed by God – it is a sacrament or prophetic and power-laden sign. In an age that is not sure if life-long love is possible, the Christian couple is called to be empowered by the power of the Spirit to show forth the unbreakable love between Christ and his Church. A marriage conference or retreat of 3-4 sessions that covers marriage as intimate communion, marriage and the raising of children, and marriage as a sacrament. The story of a young, Catholic rock ‘n roller who fell in love with Christ, and why he decided not to leave the Catholic Church. With his engaging personal witness, Dr. D’Ambrosio explains in a fresh, contemporary way that “Catholic” means fullness of life. This talk will reenergize already devout Catholics, giving them new insights into the role of Mary, Tradition, and the sacraments. For Sunday, nominal, and inactive Catholics, this talk is a spark to a deeper conversion to Christ and deeper commitment to his church. For non-Catholic Christians, this talk explains a few of the Catholic distinctives and provides a friendly, non-offensive invitation to discover elements of our common Christian heritage that make for a deeper, richer life in Christ. This multipart series has been given to general audiences as well as provided as a part of formation or continuing education for deacons and priests. The Early Fathers in the age of persecution, the battle for the creed, the split between East and West, the tragedy of the Reformation, and the drama of Vatican II are all discussed not only with a view towards understanding these moments, but how today we are to work to address the problems confronted by the actors in this 2000 year drama. In a single talk, Dr. Italy points out several contemporary issues and shows how these issues were already confronted in the earliest days of the Church, providing insights, answers, and inspiration for us today. Drawn from his best-selling book When the Church Way Young: Voices of the Early Fathers, this talk covers some of the most colorful characters in the history of the Church. From Aquinas to Luther: What Went Wrong? The Reformation did not arise out of nowhere. This talk helps explain how decline in theology, spirituality, and clergy scandals helped set the stage for rebellion and conflict. Since the Second Vatican Council tells us that “men on both sides were to blame,” this talk provides a fair and balanced assessment on what the true causes of rupture were and how we can work today for healing and unity. The three comings of the Lord, the deeper meaning of Christmas, and the role of Hope in Christian life. This can be done as a single talk or a three or two talk Advent Mission. 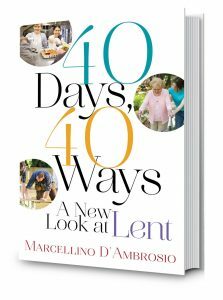 In this talk, based on his best-selling book by the same name, Dr. Italy will introduce the audience to a brand new Lent experience. After giving deeper insight into where Lent came from and what it means, the talk present positive, proactive ways to approach the season instead of the same old “giving something up.” The result will be a spiritual transformation and a closer walk with Christ — not only during Lent but throughout the year. There are the works of mercy and mercy is one of Pope Francis’ favorite topics. But what precisely is mercy, and how can we build a culture of mercy in our families, parishes and communities? This can be given as a single talk or a three session parish mission. The central act of worship in the Catholic Church is the Mass. Yet only a minority of Catholics bother to attend Mass these days, and many of those who do come late and leave early, apparently getting very little out of it. This talk asks the simple question, “what can we do to get more out of Mass?” With humorous stories and practical examples, Dr. Italy discloses how to unlock the power of Christ’s presence despite the distractions that often get in the way. Many of the illustrations, drawn from Dr. D’Ambrosio’s life and that of his family, make it clear that everyone, no matter how busy, can have a much deeper and more satisfying experience of Christ in the Mass. Those who attend this talk will never experience the Mass in quite the same way again! The essence of Christian faith is a personal, intimate relationship with God that transforms us and every aspect of our lives. This talk makes clear how daily prayer can help make this happen and provides practical tips on how to have a vibrant prayer life in the midst of a busy, active lifestyle. Whether you are an accomplished “prayer warrior” or a novice, there is something in this talk that will enrich and deepen your relationship with God! Shows how confession is a liberating gift rather than an embarrassing burden. Since this talk dispels many of the common misconceptions about this sacrament, it has helped many find their way back to confession and has helped others find greater fruitfulness and frequency in their celebration of this sacrament. A particularly appropriate talk during the seasons of Advent and Lent. Reflecting on universal experience on the importance of non-verbal communication, especially in matters of love, this talk helps the audience see the sacraments as God’s body language, as seven different embraces of divine love that come to us in different critical moments of life. The celebration of the Eucharist is undoubtedly the “source and summit” of the Christian life to use the words of the Second Vatican Council. But what of the adoration of the eucharist outside of Mass? How are we to understand its purpose, value, and relationship to the Mass? Practically, what are we to do during the time we spend in the presence of the blessed sacrament. How can we maximize the fruit from this practice in our own experience and in the experience of our parish? These questions and more are answered by this enlightening talk. This seminar, given either in three or four talks, Dr. Italy takes participants on a journey of discovery, offering profound reflections on the “source and summit” of our faith as well as practical tips on how to make our experience of Mass more fruitful. How the mass is a sacrifice, how Christ is really present, and how we can better prepare ourselves so as to make weekly Mass a transformative event are all discussed, with a talk on adoration as the capstone. The Sacrament of Confirmation has been called by some “the sacrament in search of a meaning.” Confusion abounds about what it means, why we need it, and what age is appropriate for its administration. This talk by Marcellino D’Ambrosio cuts through the confusion and brings out, in a lively and dynamic way, what the Scriptures and the Catholic tradition reveal about this powerful anointing of the Holy Spirit. Illustrating throughout from his own experience, Dr. D’Ambrosio shows how this sacrament is the key to understanding many dimensions of Catholic truth from the priesthood of the laity to the call of all Catholics to share the love and truth of Christ to the unique role of the bishop as successor of the apostles. Dr. D’Ambrosio has a version of this talk for confirmation candidates and sponsors, and a version for clergy and religious educators that is appropriate for catechetical conferences or clergy convocations. Some Christians seem to neglect her; others seem overly preoccupied with her. What is the true role of Mary in God’s plan, her intended role in our lives now, and the proper form of devotion to her? In this talk, Dr. D’Ambrosio provides enlightening and inspiring answers to these questions from Scripture, common sense and the teaching of the Second Vatican Council. This talk shows how the Catholic faith is not an “ism” or an ideology, or some rigid collection of rules and regulations. Rather is is a dynamic journey of adventure which is full of continual surprises. The challenges and thrills of the first disciples’ experience can and should be ours, regardless of our age or state in life. In secular culture, people increasingly are unwilling to settle for simply getting by, but are in pursuit of optimal quality of life. We see this in the “foodie” and “wellness” movements. Yet at the same time, many Catholics are content with a humdrum spiritual life, expecting little and investing little. This talk challenges that and makes clear that all Christians are called to an abundant life of ever increasing development and fruitfulness and inspires the audience to take practical steps to pursure excellence. The New Evangelization: What and How? What exactly is the NEW evangelization? How it differs from the OLD? Who is doing the evangelizing, who is being evangelized and how is this evangelizing to be done? Dr. D’Ambrosio will be showing Vatican II and the Magisterium’s balance between respecting what is good and true and noble in other religions and the clear insistence that everyone needs to find completion and fullness in Christ and his Church. And he will share some practical principles that will make individuals and parishes more successful in the work of evangelization. In a society preoccupied with romantic love and sisterhood, fatherhood and Christian brotherhood is making a comeback! Catholic men must rediscover their call to be fathers and spiritual leaders. But this becomes possible only when they organize into a “band of brothers” to provide the support, accountability, and fruitfulness in Christ that is missing when men live as “islands” unto themselves. The burdens grow lighter and the light grows brighter when men gather together as one. This talk will include stories about what men gathered together have accomplished in the history of the church plus practical tips for men organizing themselves into small groups for prayer, study, and support. The word virtue actually comes from the word for manly, since the seven virtues are powers that enable us to live as overcomers and leaders. 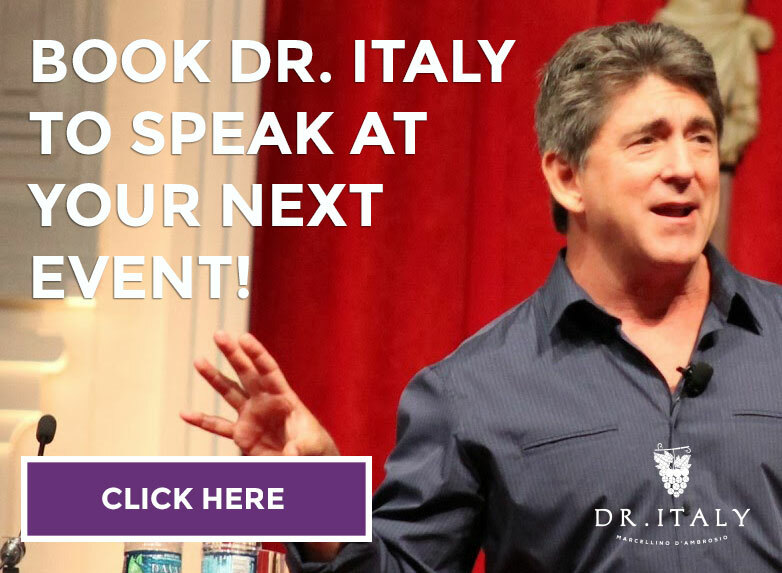 In this talk Dr. Italy will help his male audience recover authentic virility and manliness as opposed to false “machismo” and the feminization of men rampant in our culture. Is ISIS a distortion or a true expression of the face of Islam? Do Muslims worship the same God as we do? What are the similarities and differences between the cross and the crescent? These questions and more are answered by Dr. Italy in this riveting talk. In a clear and engaging presentation, you will learn about why Islam is growing in the world and the status of Christians in Islamic countries. Dr. D’Ambrosio provides concrete suggestions for how to respond to the challenges presented by the followers of Mohammed. In this talk, developed for youth, Dr. Italy honestly shares the view of God he had as a teenager – that God was a rather crabby old man who scolded anyone who attempted to have the least bit of fun. God’s restrictive “thou shalt not” commandments seemed to put a damper on life. Marcellino shares with the kids how he discovered that God only forbids what gets in the way of true life, false paths that turn into dead-ends. Sharing an amazing story from his own experience, he shares how he came to learn that God has a plan for each one of us, a plan for high adventure well beyond our wildest dreams. This talk is guaranteed never to be forgotten by the kids who hear it.